How to grow your very own oyster mushrooms at home! Have you had the chance to try oyster mushrooms yet? 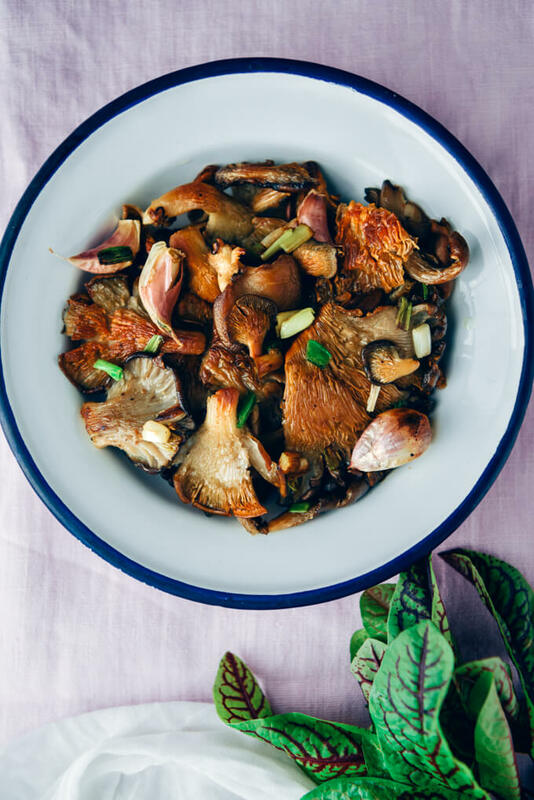 These delicious mushrooms can be bought in markets, foraged, and even grown at home or in your backyard! There are many reasons to start growing oyster mushrooms. For one, it’s fun to care for, harvest, and eat food, all from the convenience of your home. Moreover, oyster mushrooms are delicious and have a number of health benefits! Oyster mushrooms make a strong case for being the easiest type of mushroom to grow at home. Not only do they grow quickly but they are also pretty resistant to competing organisms. Plus, this kind of mushroom can grow from a variety of substrate materials. Of course, if you’re foraging for oyster mushrooms in the wild, you’ll want to watch out for oyster mushroom look-alikes. The Angel Wings mushroom, for example, is a potentially poisonous mushroom which looks similar to the oyster mushroom. However, when you grow at home you won’t have to worry about this! 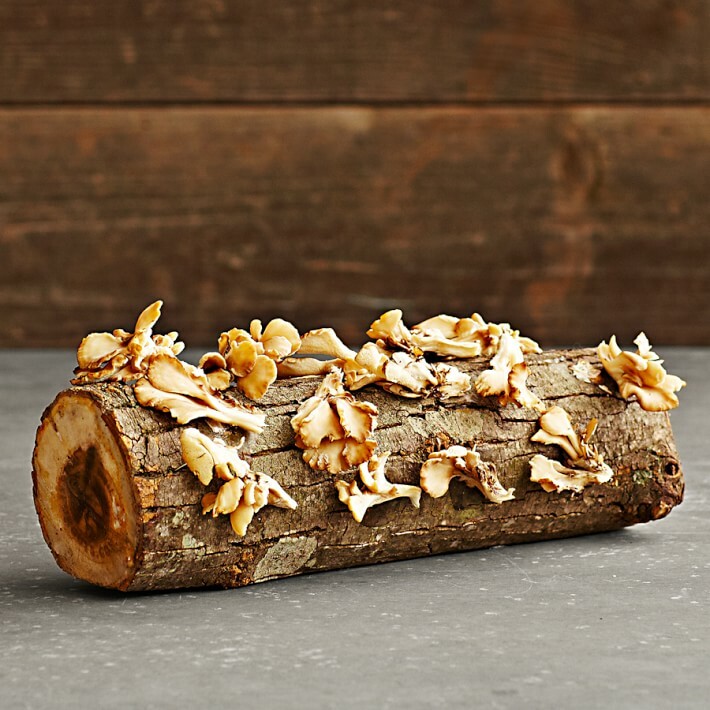 Below, we’ll break down how to grow oyster mushrooms so you can get started! The first step is inoculation. You’ll want to mix the oyster mushroom spawn with some type of substrate material. This can be coffee grounds, sawdust, cardboard and more! You’ll then place this mixture into bags that have small holes so that air can be exchanged properly. Next, the incubation period begins. Place the bags in a dark room that is ideally somewhere between 68-75 degrees Fahrenheit. The spawn will grow within 10-14 days. You’ll notice the presence of white webs growing in the bag when the spawn is ready to start fruiting. To start the fruiting process, the bag should be exposed to fall-like conditions. This includes cooler temperatures, low-level light, lots of fresh oxygen, and high humidity. After you begin this process, these mushrooms will become full size within a week. Oyster mushrooms have reached a new level of popularity in recent years because of their health benefits, how easy they are to grow, and because they make a great addition to all kinds of meals. The list of health benefits from oyster mushrooms really goes on and on. They help boost the immune system. They are antiviral, antimicrobial, and anticancer. Plus, oyster mushrooms are rich in protein, free of cholesterol, and have tons of vitamins including vitamin D and vitamin A. 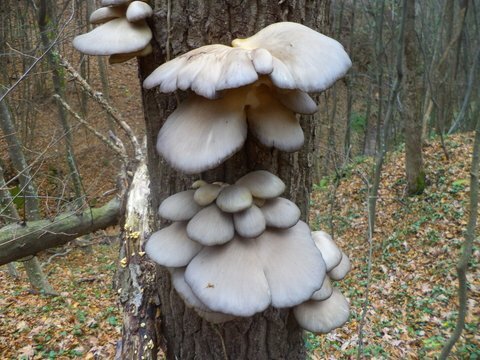 They are called oyster mushrooms because they grow in bunches and their tops tend to look similar to oyster shells. You can grow quite the haul at home with very little trouble. There is obviously plenty you can do with this mild-tasting mushroom which can help compliment a variety of meals. You can toss the mushrooms into a pan and sauté them with butter and oil, or you can add them to a creamy sauce. Many people enjoy tossing oyster mushrooms into a stew. Once you have them readily available in the comfort of your own home, you’ll be able to figure out plenty of creative ways to use them. The snarkiest of mushroomers, and even the most polite and PC picker, will tell you, "Morels grow where they want to grow." Simple as that. And difficult as that. After decades of pursuing these delectable fungi, this morel hunter knows full well what others speak of with either despair or hopefulness, in sarcasm or earnestness: morels seem to appear here and there, but not there and here—at least not consistently. Or maybe they do. To find out, you simply have to obey the adage all true mushroom people understand: "If you don't go, you won't know!" So come on one of our Sierra mountain forays and explore the opportunities to find the ever elusive morel, or maybe even spring king porcini! Here's a quick and easy method for what to do with those you might find. Rinse the morels, making sure no dirt is left on the stem bottoms. Then chop or slice a handful into wheels, and put them into a medium hot sauté pan with 1 1/2 tbsp of sweet butter. Cook for at least 5 minutes, mixing a bit. In the meantime, finely chop about 1 tbsp of shallots and toss them in too. Stir, shake, or agitate the pan to mix. Cook for a minute or two. Add a small splash of dry Sherry; mix and cook au sec, then add a nice amount of heavy cream and cook for just a minute or two over low heat. Use your best sea salt flakes and fresh ground pepper to finish. Serve over great bread (like brioche, but not any strongly flavored loaf) or toast rounds. This will be another one of those voila moments that will make you the most popular person in the kitchen, period.